Raffle Permits: QLD Licence No. 126802, Vic Permit No 10697/18. Information on how to enter and prizes form part of these terms and conditions. If there is any conflict between these terms and conditions and any other published material, these terms and conditions are to prevail. 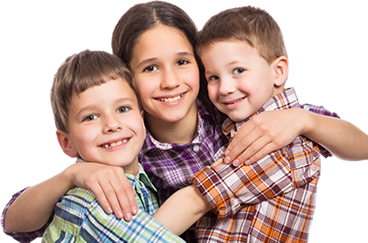 Platinum Class Lottery (“Lottery”) is conducted by Act for Kids (“Organiser”) (ABN 98 142 986 767) at Level 1, 8 Gardner Close, Milton QLD 4064. By purchasing a lottery ticket, you are deemed to have accepted these terms and conditions. Entry is open to supporters who are 18 years of age or older. Act for Kids directors, executive staff, employees, and their respective immediate families are ineligible to enter. Immediate family members are defined as spouses (including de factos), parents, children and siblings, whether they are full relatives, step-relatives, and/or adopted relatives. The Organiser reserves the right to verify the validity of entries. To enter and be eligible to win, eligible entrants must purchase one or more tickets from the Organiser and correctly complete the details required on the ticket order form or online entry form. Results will be drawn at Act for Kids, Level 1, 8 Gardner Close, Milton QLD, Australia, 4064 on the above dates. The public are welcome to attend the draw. Prize winners will be notified by phone and email as per contact details provided at the time of ticket purchase. Maximum of 8,000 tickets issued in each lottery. Tickets are issued on receipt of payment. Tickets will be mailed or emailed to participants within 14 business days after the date of purchase. Ticket orders received after the lottery close date or if sold out prior will automatically be entered into the next draw unless otherwise advised. By purchasing tickets, participants are automatically opted into receiving correspondence on the Platinum Class Lottery. If you do not wish to receive further correspondence relating to Platinum Class Lottery, please contact us directly. For information on how to play responsibly, call the Gambling Help-Line on 1800 858 858 within Australia, or your local community gambling helpline in your country of origin. Photographs used on the Website are for illustration purposes only and do not necessarily depict details of actual prizes. FIRST PRIZE: Mercedes-Benz E-Class E 200 Saloon valued at $97,376.43 RRP or Mercedes-Benz VS40 X350d Power AWD valued at $97,376.43 RRP If the total costs associated with CTP insurance, registration, accommodation and flights to pick up your vehicle, or transport the vehicle to you exceed AUD$2,500, these costs become the responsibility of the Winner. Star Auto (Brisbane) Pty Ltd (ABN 66 606 816 497) (“Star Auto”) is not the organiser or promoter of Platinum Class Lottery, and neither Star Auto, their associates, affiliates and related bodies corporate will in any way be liable to any loss or damage to the parties involved in the lottery. The Prize Vehicle is subject to Star Auto’s standard terms and conditions of sale, which the Winner will be required to complete and sign upon collection of the Prize Vehicle. If the Prize Vehicle is or becomes unavailable, Star Auto reserves the right to substitute the Prize Vehicle for another vehicle of equal or greater value. 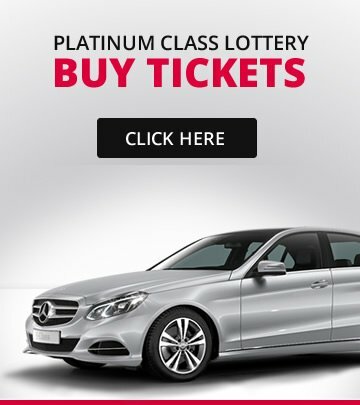 By purchasing a lottery ticket, you authorise Platinum Class Lottery to give your contact details to Star Auto, and authorise Star Auto to contact you (if you’re the Winner) to arrange for registration and delivery of the Prize Vehicle. You are responsible for ensuring correct contact details are provided at the time of ticket purchase. Mercedes-Benz Brisbane will be the Mercedes-Benz dealer to undertake registration and delivery of the Prize Vehicle to the Winner. The Winner must make arrangements to collect the Prize Vehicle from Mercedes-Benz Brisbane. Star Auto reserves the right to request the Winner to provide the Winner’s drivers licence and any other proof of identity required by Star Auto to register the Prize Vehicle. Upon receipt of the registration details required by Star Auto, Star Auto (through Mercedes-Benz Brisbane) will register the Prize Vehicle into the name of the Winner. Star Auto will pay the statutory charges (registration, stamp duty and CTP) required to register the Prize Vehicle in metropolitan Brisbane. All other expenses (including but not limited to additional registration fees, insurance, ongoing costs and expenses, fuel and future registration) are the responsibility of the Winner. Once the Prize Vehicle is registered, Mercedes-Benz Brisbane will advise the Winner. The Winner must collect the Prize Vehicle from the premises of Mercedes-Benz Brisbane. If the Winner fails to collect the Prize Vehicle within one month of being notified that the Prize Vehicle is available for collection, Star Auto may, at its sole election, arrange for the Prize Vehicle to be delivered to the Winner’s address. The Prize Vehicle cannot be redeemed for cash, exchanged or transferred. In no circumstances will Mercedes-Benz Brisbane be required to trade-in or exchange the Prize Vehicle. The risk in the Prize Vehicle (including insurance risk) will pass from Star Auto to the Winner on the registration or delivery of the Prize Vehicle. Title to the Prize Vehicle will pass to the Winner on registration of the Prize Vehicle to the Winner. Mercedes-Benz prize vehicles delivered ex-Brisbane and could take up to 60 days for delivery depending on the vehicle model. Sale of the Platinum Bullion Prize is at the winner’s discretion, selling costs and market fluctuations apply. Multi-Ticket Buyer Bonus Prize is not transferable or redeemable for cash. All prizes ex-Brisbane unless otherwise stated. As a Platinum Reserve member (“PR Member”), your nominated ticket amount at the initial ticket purchase will be repeated in every lottery until further notice. You can cancel the PR Membership at any time by notifying us in writing or contact us directly. Every second month you will receive a Platinum Reserve Member ticket(s) for the latest Platinum Class Lottery. Your account will be debited at the beginning of each Draw according to your specified Platinum Reserve Membership amount. Once the payment has gone through, ticket(s) will be mailed to your nominated address within 10-14 working days. Payment for tickets will be automatically debited from the debit or credit card details and tickets will be mailed to the postal address provided by you at the time of ticket purchase. 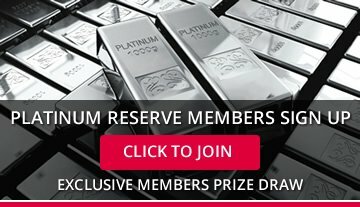 As a PR Member, you will be eligible for the Platinum Reserve Bonus Ticket draw (“PR Bonus Ticket Draw”) and Platinum Reserve Member Draw (“PR Member Draw”). These are separate draws exclusive to PR Members. PR Bonus Ticket Draw for the current lottery will be conducted at 12 noon AEST Friday 31 May 2019 at 36 Industrial Avenue, Molendinar QLD 4214. Results of PR Bonus Ticket Draw will be published on our website. Bonus tickets won by the respective PR Member will be issued and mailed to the winners’ nominated postal address. If you did not receive the tickets in the post, your bonus tickets are still included in the draw. PR Member Draw will be conducted on the final draw date indicated in the above section under the Platinum Class Lottery.